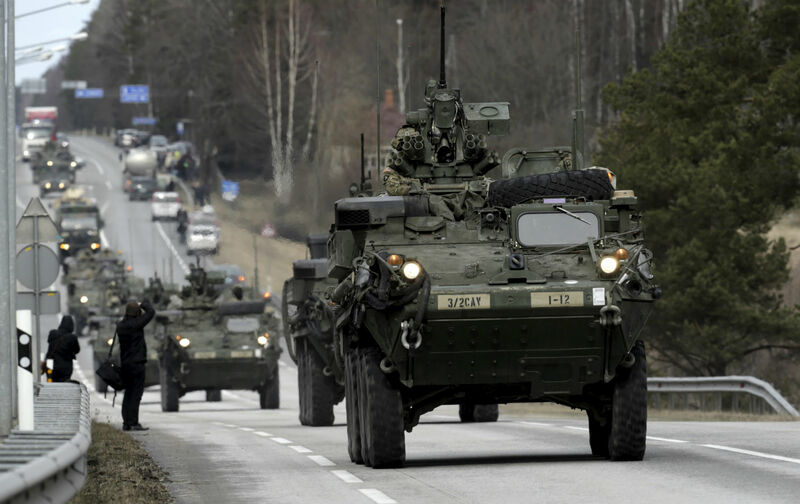 By quadrupling military spending on NATO’s forces on Russia’s border, Washington risks turning the new Cold War into a hot one. The Obama administration has just recklessly escalated its military confrontation with Russia. The Pentagon’s announcement that it will more than quadruple military spending on the US-NATO forces in countries on or near Russia’s borders pushes the new Cold War toward actual war—possibly even a nuclear one. The move is unprecedented in modern times. With the exception of Nazi Germany’s invasion of the Soviet Union, Western military power has never been positioned so close to Russia. The Obama administration’s decision is Russian roulette Washington-style, making the new Cold War even more dangerous than the preceding one. Russia will certainly react, probably by moving more of its own heavy weapons, including advanced missiles, to its Western borders, possibly along with a number of tactical nuclear weapons. Indeed, a new and more dangerous US-Russian nuclear arms race has been under way for several years, which the Obama administration’s latest decision can only intensify. The decision will also have other woeful consequences. It will undermine ongoing negotiations between Secretary of State John Kerry and Russian Foreign Minister Sergei Lavrov on the Ukrainian and Syrian crises, and it will further divide Europe itself, which is far from united on Washington’s increasingly hawkish approach to Moscow. Astonishingly, these potentially fateful developments have barely been reported in the US media, and there’s been no public discussion, not even by the current presidential candidates during their debates. Never before in modern times has such a dire international situation been so ignored in an American presidential campaign. The reason may be that everything related to the new Cold War in US-Russian relations since the Ukrainian crisis erupted in November 2013 has been attributed solely to the “aggression” of Russian President Vladimir Putin or to “Putin’s Russia”—a highly questionable assertion, but long the media’s standard policy narrative. Every presidential candidate and the other leaders of both parties, as well as the editors and writers in the mainstream media who profess to be covering the 2016 campaign, the state of our nation, and world affairs are professionally and morally obliged to bring these dire developments to the fore. Otherwise, they will be harshly judged by history—if anyone is still around to write it.